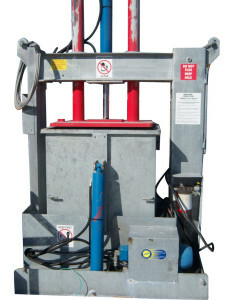 A Commercial trash compactor made for the Oil Industry. A machine that can be operated by Air or by Electricity. A machine that can be operated with Ease and Simplicity.